Pimm's is as much part of the traditional English summer as Henley, Wimbledon and a washed-out Test match. Traditionally served in a long glass with a little chopped fruit and lemonade, it is a refreshing and lightly-alcoholic cocktail. Some imaginative variations on the trusted recipe will rekindle interest in an old favourite. The temptation with Pimm's is to throw a whole fruit cocktail into the jug with some ice. That can be refreshing but the flavours can get a little muddied. Instead look for an identifiable flavour combination for your Pimm's creations. Mojito. Transfer a little Cuban cool to the English countryside with a Pimm's mojito, given a little kick of Caribbean rum and plenty of fresh mint. Bruise the mint lightly so the oils permate the drink. Serve with lots of ice. Citrus. Use lime juice, lemon juice and grapefruit juice to counter the sweetness of the Pimm's and create a kind of English version of sangria. Don't be tempted by orange juice. Instead add a little orange zest to the mix to add the aroma of orange without the overpowering sweetness. Ginger. US housewife superstar Martha Stewart recommends Pimm's with ginger ale. American ginger ale is difficult to differentiate from lemonade, but she may be onto something. Finely grated ginger and lime zest can add a little kick of refreshing heat to a long Pimm's. Cucumber is an elegant addition to a Pimm's for ladies in summer hats playing croquet. For an extra fragrance of the English summer, a little elderflower blossom adds an original touch, although probably best avoided if you suffer from hayfever. Don't let the ice melt. Pimm's is traditionally served in large jugs with a generous fruit garnish. If you persevere with this habit, fill people's glasses quickly. 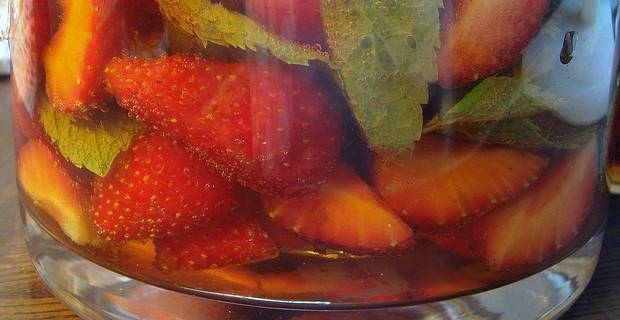 Pimm's suffers if left lying around in the jug with the ice melting, mint wilting and fruit getting soggy. Just refill the jugs regularly and keep the Pimm's flowing.